Scores of frustrated Norwegians, including many celebrity artists, planned to march in a torchlit parade this week to demand that city politicians finally approve plans for a new Munch Museum on the waterfront near Oslo’s Opera House. A new survey shows that a majority of Oslo voters support the long-delayed plan for a a high-rise museum at Bjørvika, to house the invaluable collection of Norway’s most famous artist of all, Edvard Munch. Now it seems like Oslo residents have had enough of their politicians’ failure to take care of the city’s inheritance from Munch. The protest march was due to begin from the Oslo City Hall at 6pm on Tuesday and its organizers include artist Magne Furuholmen, the former member of the popular Norwegian rock band a-ha who’s now an active partner in a private art gallery at the new Tjuvholmen waterfront development on the other side of town. Furuholmen is joined,among others, by directors tied to two of Norway’s most acclaimed art museums, the Henie-Onstad Art Centre in Bærum and the Kistefos Museum in Jevnaker. With all three founded by private, not public, initative, neither Furuholmen’s gallery nor the two museums are burdened by the political quarreling and bureaucracy that have played a major role in the failure by Oslo officials to build a new Munch Museum after years of conflict. “We’re going to meet at the City Hall, march with flaming torches to the Opera and end with a real ‘Scream for The Scream,'” Karin Hellandsjø, former director of the Henie-Onstad Art Centre, told newspaper Dagsavisen last week, referring to Munch’s most famous painting depicting a screaming figure full of anxiety. Those organizing and intending to march on Tuesday have clearly felt like screaming for a long time. It’s been eight years since the museum was hit by commando-style robbers who stole both “The Scream” and “Madonna” and painfully revealed the poor security at the museum. It closed for emergency renovations and the precious paintings were eventually recovered, but debate that had been simmering for decades over the need for a bigger and better Munch Museum ignited once again. City government leaders later announced plans to build a new Munch Museum as part of their ambitious waterfront redevelopment project anchored by the Opera House, but the winning design called “Lambda” sparked controversy over its height and location. Then the city’s Progress Party delegation, led by Carl I Hagen who often opposes public funding for cultural projects, wound up in opposition and he reversed his own party’s earlier support for Lambda, halting any progress on building a new museum. Hagen wants to create a new Munch Museum at the site of the existing National Gallery in downtown Oslo, which itself is due to move into new quarters near City Hall. Other politicians, including those from the Labour Party and the Socialist Left party (SV) want to expand or build a new Munch Museum at the existing location at Tøyen. Voters seem to disagree, even with their own parties. 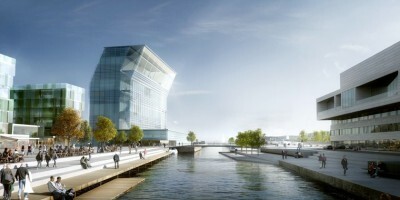 A survey conducted by research firm Respons for newspaper Aftenposten shows that four out of five want a new Munch Museum and that the largest single bloc of Oslo voters (39 percent) favours the location on the waterfront at Bjørvika. Only 24 percent want the museum to remain at Tøyen and 14 percent want it to move to the National Gallery location. Only 10 percent do not want a new Munch Museum, while 14 percent were undecided. With voters, well-known artists and museum experts now raising their voices, the politicians may start listening. The recent opening of the new Astrup Fearnley Museum on Oslo’s western waterfront, built relatively quickly with private funding and little if any public debate or outcry, illustrated the difference between public- and private sector efficiency while art enthusiasts decry the shabby treatment of Munch’s legacy while the 150th anniversary of his birth is supposed to be celebrated next year.